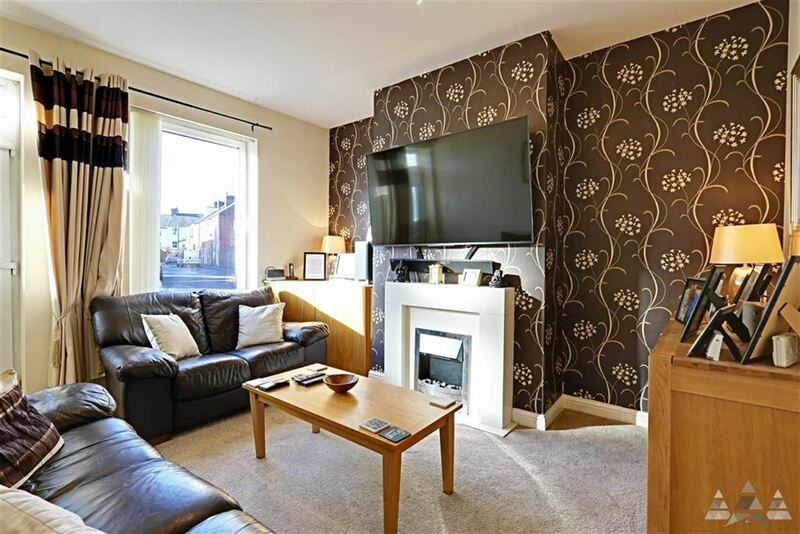 The property is entered through the uPVC door into the spacious lounge with neutral decoration, beige carpet, contemporary gas fire with modern surround, radiator and uPVC window. 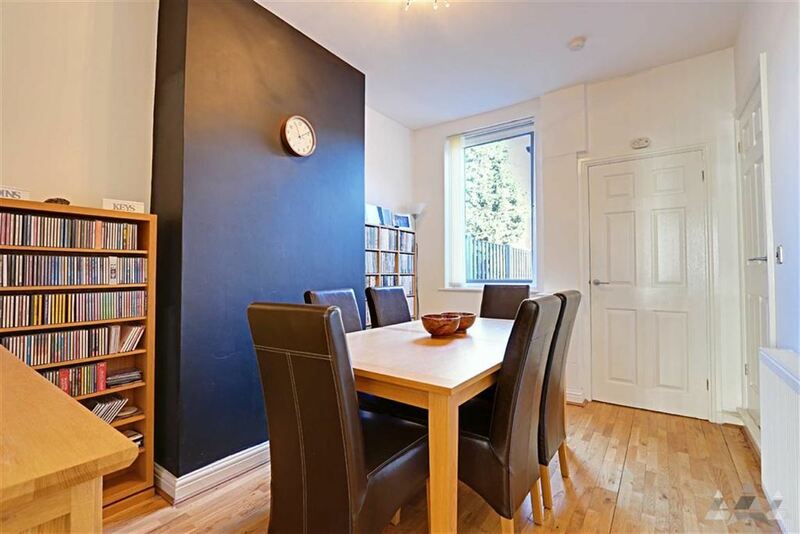 The dining room has wooden laminate flooring, white painted decoration, radiator, under stairs storage and uPVC window. The modern kitchen has a great range of beech wall and base units and drawers with a complimentary black laminated worktop, 1 sink with chrome mono bloc mixer tap, space for oven, brushed stainless backplate and pull out extractor hood. 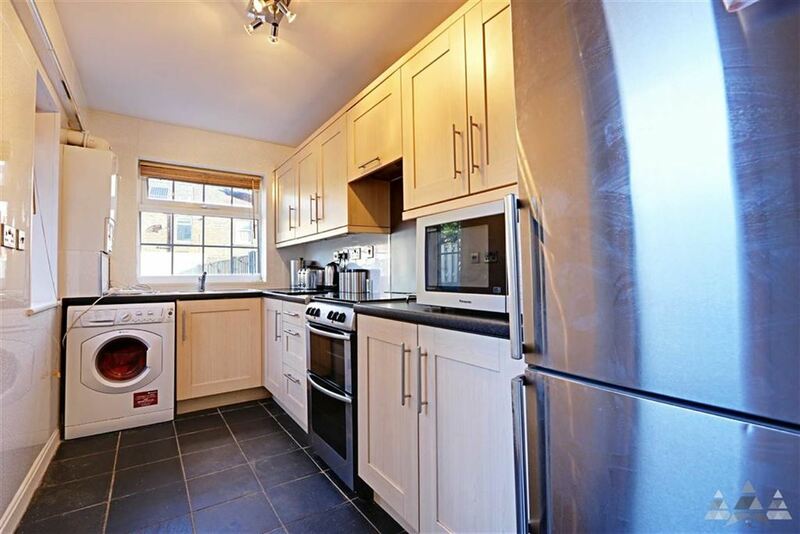 With space for a tall fridge freezer, space and plumbing for a washing machine, wall mounted combi boiler, two upVC windows, uPVC external door, black tiled flooring and white / silver mermaid board to the walls. The modern bathroom is fully white / silver mermaid board with black tiled effect linoleum flooring, white three piece suite comprising of a low flush WC, bath with shower and glass screen, high gloss vanity unit with sink and chrome mono bloc mixer tap, wall mounted towel radiator and uPVC window with obscure glazing. 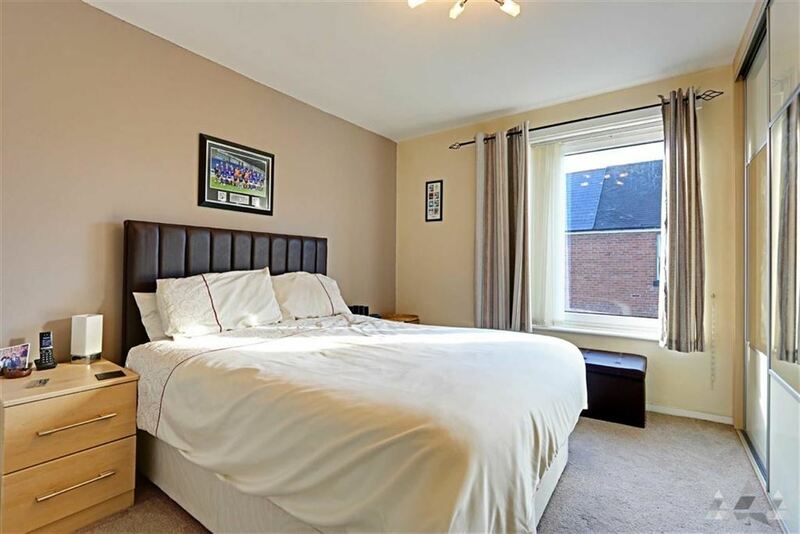 This double bedroom the the front aspect has the benefits of inbuilt sliding mirrored wardrobes, neutral carpet, white painted decoration, uPVC window and radiator. With white painted decoration, neutral carpet and handrail. 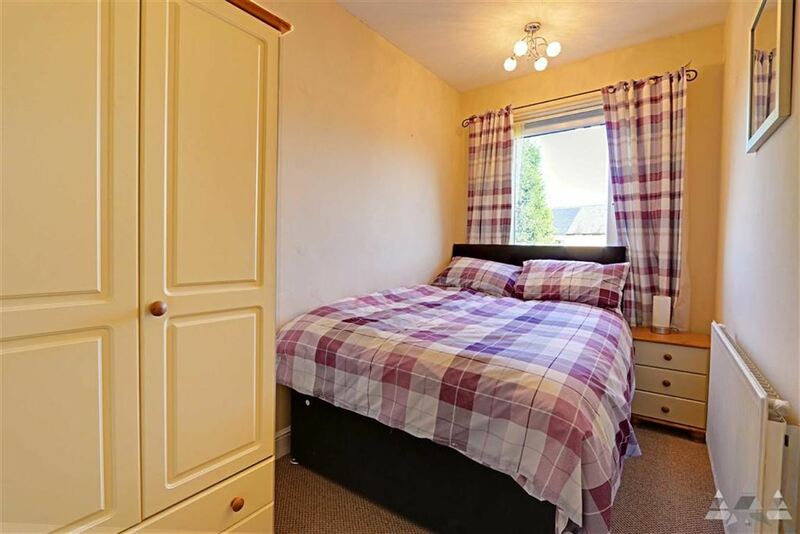 This good sized bedroom has neutral carpet, cream painted decoration, uPVC window, radiator, and access into the attic room the pull out extendable ladders. This attic room is accessed by extendable ladders in bedroom two, this room has white painted decoration, skylight, eaves storage to both sides and neutral carpet. 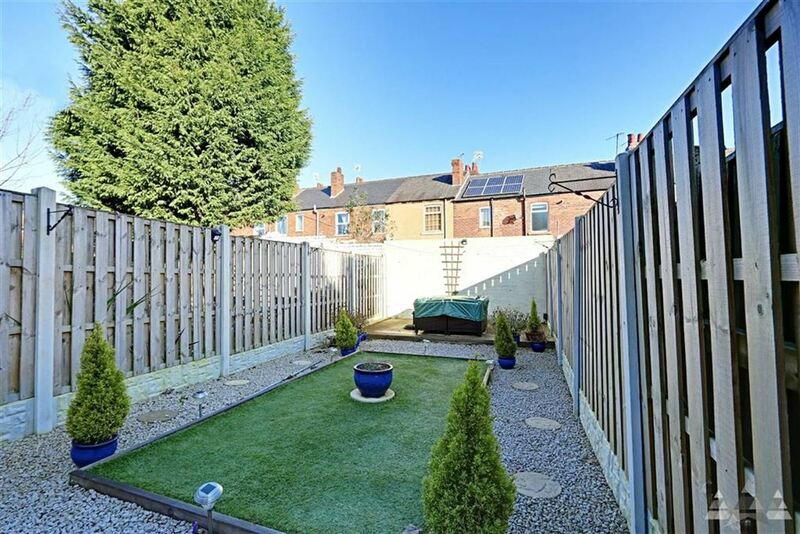 The pleasant low maintenance rear garden is fully enclosed with astro turf, gravelled areas and decked seating area. 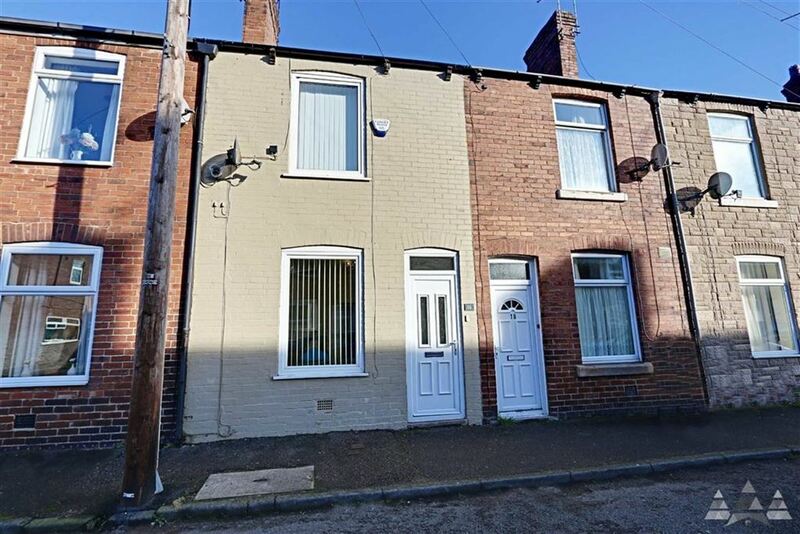 Located on the outskirts of town in a quiet cul de sac location and convenient for transport links including motor way network M1 Jct 29, royal hospital and train station.